If you want to buy cheap algeria shirt for 2018-19 season, buy it here in cheap-football.com , Check our exclusive range of algeria Football Shirts / Soccer Jerseys and Kits for adults and children at amazing prices. 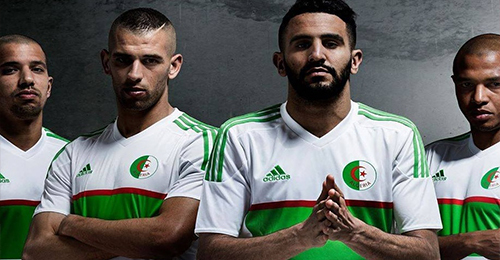 Get the cheap algeria jersey shirts, soccer kits with wholesale price, Free Shipping Worldwide! Algeria national football team represents Algeria in association football.Algeria joined FIFA on 1 January 1964, a year and a half after gaining independence.Algeria have qualified for four World Cups in 1982, 1986, 2010 and 2014. Algeria won the African Cup of Nations once in 1990, when they hosted the tournament. At the 2014 World Cup, Algeria became the first African team to score four goals in a match at the World Cup against South Korea.